Amsterdam is the capital city of the Netherlands located in province of North Holland. The city enjoys an oceanic climate because of its proximity to the sea. Among the main places to visit in Amsterdam are the Rijksmuseum which houses many of Rembrandt and Vermeer’s paintings; the Van Gogh Museum, the Stedelijk Museum, the Anne Frank House, and the Amsterdam Museum. 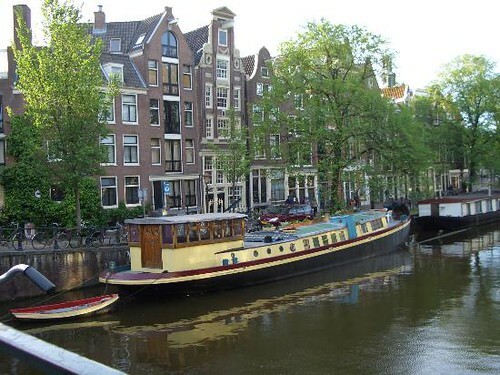 Other interesting sites include the city’s many canals, red light district and the cannabis coffee shops. Amsterdam is famous for its cafes and one of the leading cafes is Getto. Getto is a burger bar which has each of its burgers named after a drag queen who performs there. For restaurants that serve Dutch food there is Moeders. This restaurant serves classic Dutch food. The Haesje Claes offers pea soup, fish stew, and chicken livers while Loetje dishes up biefstek and friet. Amsterdam is one of the most bike friendly cities in Europe and getting around on a bicycle is quite easy. It is possible to hire a bike using MacBike or City Bikes which both charge €10 per day. Getting around the city may also be done by tram. The city is served by the Schipol International Airport with flights from other cities across Europe.